I am sure many of us did a little dance when e.l.f came back to the UK, launching in Superdrug with some amazing products, which I reviewed right here, but did you know they have also launched an entire skin collection too? 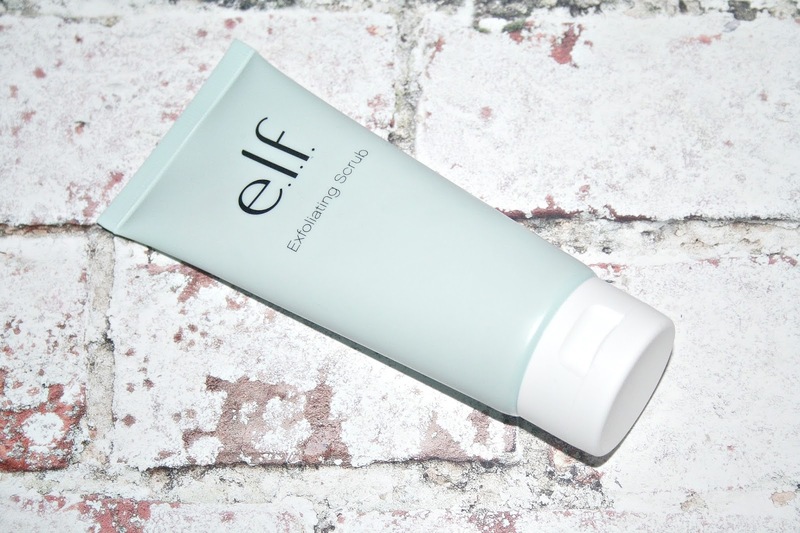 Available from Superdrug, e.l.f describe their collection as 'skintertainment' and all of the products are free from Parabens, Sulfates, Phthalates and are Vegan and Cruelty Free. Exfoliating Scrub - This exfoliating scrub is really gentle on the skin and uses Walnut Shell to help polish away dead skin cells. It is infused with purified water and vitamin E and what I was surprised to find is that rather than stripping the skin after using and making your face feel as though you need to add anything and everything moisture wise, it is instead incredibly hydrated and it leaves skin feeling soft and smooth to the touch. Priced at £5.99. 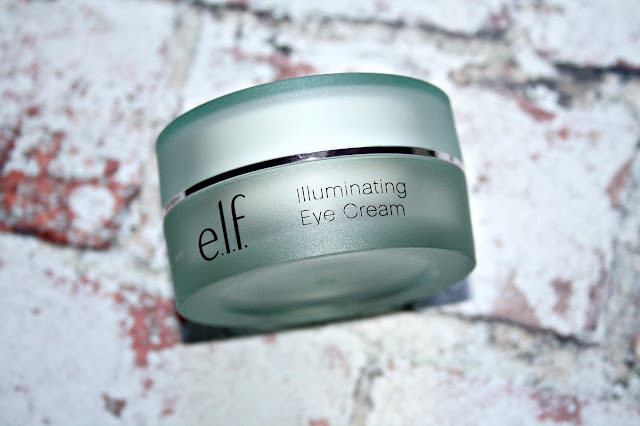 Illuminating Eye Cream - I always have an eye cream on my bedside table in the hope that I can ward off any lines and wrinkles for as long as I possibly can. Described as being a nourishing cream which helps hydrate and minimise the appearance of dark circles and puffiness. Again it is infused with Purified Water and skin nourishing Jojoba, Vitamin E, and Cucumber which comes together to help soothe and protect the delicate skin area around the eye. This cream is also rich in antioxidants Shea Butter and Green Tea and when used, it is incredibly lightweight and absorbs on contact with the skin Priced at £11.49. Daily Hydration Moisturiser - Again this cream is infused with Purfied Water and skin-nourishing Jojoba, Aloe, Vitamin E and Cucumber making it lightweight on the skin, hydrating and nourishing. Then there is the inclusion of Shea Butter, Grape and Orange Peel which are rich in antioxidants. This cream is lightly scented and with a scent that I can best describe as slightly fruity, on the skin it is lightweight, absorbs really quickly and I love how it makes my skin feels. Priced at £8.99. Alongside these three products you will also find a Hydrating Bubble Mask, Pore Refining Brush and Mask Tool, Hydrating Serum, Gentle Peeling Exfoliant, Moisturising Sleep Mask, Hydrating Water Essence, Cleansing Cloths and much more. 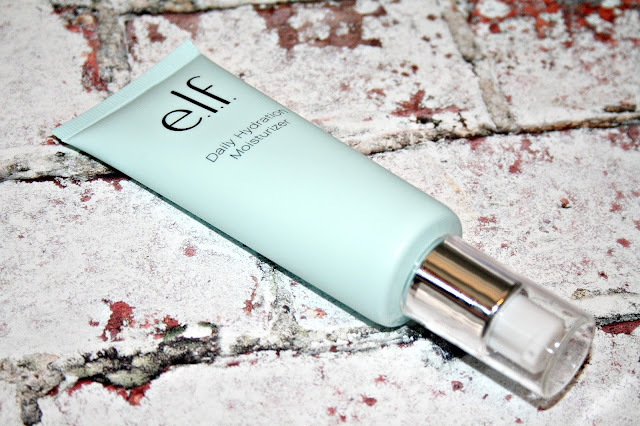 Have you tried anything from e.l.f? Is there anything from the skincare range which tempts you? I'll need to pick up a few bits soon, totally didn't realise they were putting out skincare now too. I had no idea that their skincare collection contained so many products! 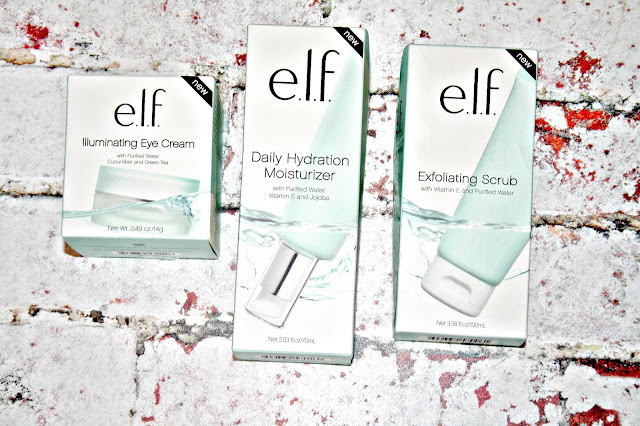 Just before Christmas I got myself around 60 elf products. I am just about to review them and from the ones I have tried, I have loved almost every single one of them. As for skincare, I tried only one of the bible masks and it is pretty good - first impression. I want to get my hands on the magnetic mask now. I need to try these products - they look so good! I need to try that eye cream! Such a good price point too! I didn't even know about this skincare range! I'd love to try the moisturiser and the serum! I didn't know about this Skincare. But I love to try this products....Hope soooo much that I have a chance.